Marshall's Taevion Kinsey (1) and Jon Elmore (33) are all smiles during the Herd's 70-69 win over WKU. 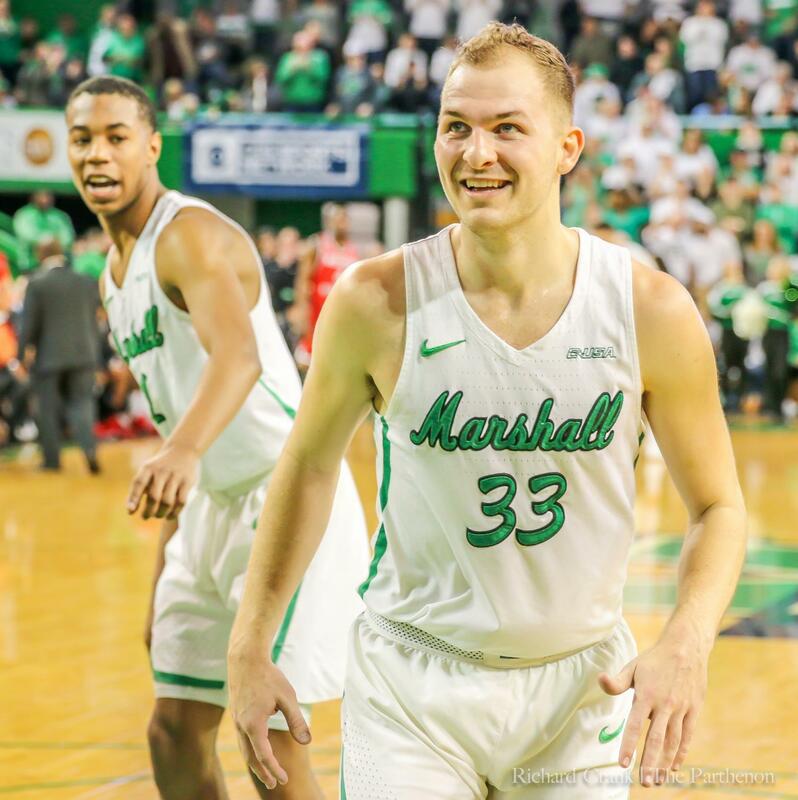 Marshall senior guard Jon Elmore scored a career-high 44 points, tied for sixth-most in the program’s history, on Thursday to help the Herd defeat the UTEP Miners, 91-86. Elmore said postgame that his teammates did a great job in keeping him in good situations. Elmore went 14-for-23 in field goals, 7-for-12 in 3-pointers, and 9-for-10 in free throws in the victory something he struggled with for the past three games when he put up a combined 36 points. The Herd had several key players that led to the victory. Sophomore forward Jannson Williams acquired a career-high eight blocks throughout the game, while sophomore guard Jarrod West had five steals to help the Herd win the turnover battle 12 to UTEP’s 20. Williams said that the Herd fed off the hard performance by West. 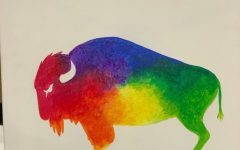 The Herd found itself going shot-for-shot with the Miners earlier in the first half, when both teams put up 37 points to end the half in a tie. The Herd came out in the second half and put up 54 points to UTEP’s 49, with freshman forward Efe Odigie and freshman guard Nigel Hawkins scoring 22 points apiece for the visitors to keep the game close. Marshall Head Coach Dan D’Antoni said that it was a good ball game. With the win the Herd advanced its record to 13-9 and 6-3 in Conference USA play, while UTEP fell to 7-13 and 2-7 in conference play. Marshall will play its next game Saturday at 7 p.m. inside the friendly confines of the Cam Henderson Center, when the Thundering Herd takes on the UTSA Roadrunners in a Conference USA matchup. D’Antoni said that it is going to be a great game.